When does a watch become vintage? How much do vintage watches cost? Vintage watches appeal to a wide audience. They offer the chance to buy high-quality, pre-owned watches at attractive prices. Both watch enthusiasts who love particular designs and collectors of expensive, rare pieces will get their money's worth. Whether it's furniture, cars, or watches, vintage products are in vogue. The community of fans has flourished in recent years, especially in the watch sector. Many vintage watches have long been out of production, making them particularly rare today. They often feature exotic designs from times long ago. Lovers of particular decades will find the perfect accessory in a vintage watch. Furthermore, every dent, scratch, and mark on older timepieces comes with its own unique story. Some models are even the stuff of legends, having been owned by actors, politicians, or famous athletes. Of course, such vintage watches aren't exactly a bargain. Take Paul Newman's personal Daytona, for example – it is the most expensive wristwatch of all time. Mass-produced vintage watches, such as the Junghans Trilastic, sit at the other end of the spectrum. This model is available at very affordable prices today. You can even get some examples for less than 100 USD. A popular vintage model is the Omega Speedmaster Professional with the reference number 145.022, which was produced from 1968 to the early 1980s. At around 5,800 USD, it is one of the more affordable vintage Speedmasters. Vintage watches have enjoyed widespread popularity for a while now. Watch fans around the world are on the hunt for rare, decades-old timepieces. But when is a watch considered vintage? No one can say for sure. Time is an important factor. Watch expert Robert-Jan Broer from the site FratelloWatches considers watches from 1990 or earlier to be vintage. However, Broer also says that everyone can decide for themselves if they consider an older watch vintage or not. However, once a watch is around 30 years old, it's safe to say it is vintage. The Speedmaster Professional is one of the most coveted Omega models. Even though the Biel-based manufacturer still produces an almost unaltered version of this wristwatch, vintage versions of the so-called "Moonwatch" are extremely popular. This is especially true of those with the reference numbers 105.012 and 145.012 , the original Speedmaster Professional models and also the ones that flew to the Moon with Apollo 11. Buzz Aldrin was wearing his ref. 105.012 as he became the second person ever to step on the lunar surface. If you're interested in this watch, be prepared to spend around 13,200 USD. You can purchase the ref. 145.012 for as little as 9,200 USD. Omega released the first Speedmaster in conjunction with the Seamaster 300 and the Railmaster back in 1957. The original Speedmaster bears the reference number CK2915, but is not a Moonwatch. The Speedmaster ref. CK2915 is so rare today that its prices have risen astronomically. One of the earliest examples from 1958 sold at auction for a record 275,508 USD, making it the most expensive Speedmaster of all time. The ref. CK2998 succeeded the CK2915 and has a design more similar to that of the Moonwatch. 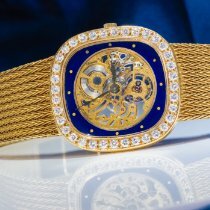 Prices for this timepiece come in at around 29,200 USD. Collections no longer in production usually yield high prices in the vintage watch market as well. The Autavia chronograph from Heuer, for example, was beloved by race car drivers in the early 1970s. However, the manufacturer is now called TAG Heuer, and the Autavia was only reintroduced in 2017. Pre-owned, it typically costs more than a significant number of new watches from this Swiss brand. A well-maintained Autavia can cost upwards of 12,800 USD. However, whether someone would choose to part with such an old treasure is a different question altogether. The new Autavia with an automatic in-house caliber demands around 4,100 USD. The Breitling Navitimer is one of the world's most famous pilot's watches. A slide rule bezel is the most characteristic feature of this chronograph. The wearer can use it to make various mathematical calculations, such as rates of climb and descent, speed, and fuel consumption. Early Navitimers from the 1950s have the reference number 806. Manual calibers like the Venus 178 and Valjoux 72 are still ticking away inside these timepieces. Those with a Valjoux movement are particularly rare. If you're looking to purchase a Navitimer ref. 806, be sure to have between 3,500 and 11,700 USD on hand. The first automatic versions of the Navitimer are also interesting collector's items. One of the world's first automatic chronograph movements powers these timepieces: the caliber 11. The Breitling Navitimer Chrono-Matic is characterized by both its left-hand crown and its "fried egg" shaped case. You can purchase examples from the 1970s for as little as 2,300 USD. Well-maintained pieces and gold models can cost as much as 11,700 USD. Purchasing a vintage watch has many advantages, including the price. One good example is the Omega Seamaster, a prestigious collection that has been in production since 1948. A new Seamaster with a mechanical movement costs between 3,500 and 5,800 USD. However, you can find automatic and manual versions from past decades for between 580 and 1,200 USD in good or very good condition. If you're a fan of vintage watches, you can get a famous watch from one of the top Swiss manufacturers for relatively little money. A 50-year-old Omega, Rolex, or Breitling displays your status as a watch lover just as well as a new timepiece. That being said, not all vintage watches are less expensive than their modern counterparts. Many vintage watches are so rare and highly sought-after that their current market prices have reached enormous heights. The most famous example is probably the Paul Newman Daytona from Rolex. When this chronograph first came to market in the 1960s, it had a slow start. This led Rolex to produce few examples of this timepiece, meaning there aren't many early examples that still exist today. Moreover, the Paul Newman Daytona is one of the most popular vintage watches in the world. Paul Newman's personal timepiece sold at auction for a record-smashing 17.8 million USD in 2017, making it the world's most expensive wristwatch. If you can settle for a Paul Newman Daytona that wasn't previously owned by the actor and race car driver, you'll need at least 117,000 USD. Vintage Rolex Submariners are also popular collector's items. Models from the 1950s are well known for their record-setting prices: Expect to pay around 93,500 USD for the ref. 6204 and 46,700 USD for the ref. 6205. The so-called "Red Sub" is somewhat younger but just as coveted. Plan to spend at least 15,200 USD on this timepiece. However, examples in very good condition can cost over 35,100 USD. All in all, vintage Rolexes usually make fantastic investments. There are many similarities between buying a vintage watch and purchasing a classic car. That being said, some fans of older watches are more like stamp collectors. They look for rare printing errors and are willing to pay major sums when they find one. Once again, we turn to Rolex for the perfect example: the Explorer II. Pieces from the 1970s included an additional, reddish-orange hour hand with a 24-hour scale. This colorful hand had a problem with sunlight and would fade over time due to exposure to UV rays. Despite this shortcoming, examples with the reference number 1655 and a faded 24-hour hand demand five-figure prices today. This is much more expensive than a brand new Explorer II. Actor Steve McQueen is also said to have worn this timepiece, which only adds to its appeal. Connections to a celebrity are often a significant selling point. This just goes to show that vintage watches are a sound investment and much more than just an easy bargain. A vintage watch kept in good condition is likely to retain its value. Sometimes prices increase for reasons not directly related to the watch itself. Anyone who bought a solid gold pre-owned watch 20 years ago surely is not regretting that purchase today, as gold prices have more than tripled since then. When reselling this watch, it is sure to get a high price thanks to its material worth alone. Likewise, a pre-owned pilot's watch from the 1940s will be well received because it survived WWII. 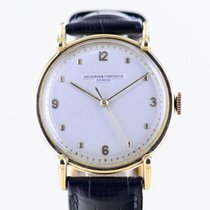 What should I consider when purchasing a vintage watch? Searching for information and comparing prices from a large selection of watches is part of the watch buying experience. This also includes checking the price. To avoid purchasing a fake, the following rule applies: If the price is unrealistically low, then you should proceed with caution. You can easily find the amount that a particular pre-owned model usually sells for on Chrono24. There should always be a clear reason given if a watch is either much more or much less expensive than comparable models. Thus, an Omega Seamaster for three figures shouldn't raise any suspicion. A Rolex Submariner at that price, however, should raise alarm, as Submariners are usually much more expensive. Knowing whether a watch is being offered at a fair price requires experience and expertise. Watch magazines and websites can provide you with a lot of helpful information. You can also ask questions on watch forums and receive competent, informed answers from experts. The price structure of the vintage watch market can be a bit tricky to understand for the average person. For example, a somewhat damaged-looking watch can be much more valuable than a similar watch in almost perfect condition. This is because the original condition of the watch is what matters most. It's not a big deal if there are signs of wear and tear; what matters is if the watch has its original parts. Not even good looks can save a watch if many of its components have been replaced, such as the dial, hands, and crown. Prices also increase when a watch is sold with its box and papers. The original packaging and documents from the manufacturer and dealer are all part of the original purchase. They serve as important proof that the offered timepiece really is the correct one. However, watches without their box and papers cannot be avoided. There is usually a simple and understandable reason for the lack of box and other accompanying materials: They couldn't be found and were likely thrown out at some point by the original owner. If you don't have the time or you're simply not interested in immersing yourself deeply in the subject, then you're much better off depending on a serious dealer. A dealer can offer you a watch that they have inspected at a fair price and in some cases, even offer a warranty. Watches without previous inspection are also offered, mostly by private sellers. In these cases, it's a good idea to have a bit of money on hand for any necessary maintenance. Even a simple inspection or repair can cost around 200 USD. When you buy a vintage diving watch, you should have its water resistance checked and exchange the gaskets if you want to wear the watch underwater. There is yet another benefit to purchasing a vintage watch: Rather than being limited to current models, there is a much larger selection of timepieces to choose from. You may even find a watch you like better among the earlier versions than one from that manufacturer's current catalog. 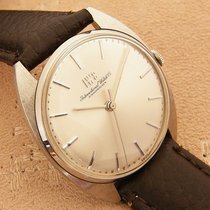 What's more, vintage watches are authentic. They were really there back in the 1960s or 70s. This detail is what makes them truly special and what sets them apart from retro watches. While a retro watch will look like a watch from a certain time period, it is still a new timepiece. They are just made to look the part of something historic. A true vintage watch offers real nostalgia. Vintage models are sometimes the only way to acquire watches with specific qualities. Take the Rolex Explorer, for example. Since 2010, Rolex has offered it with a larger, 39-mm case. If you want a smaller size, then you need to look for an older Explorer model. The last 36-mm Explorer had the reference number 114270. You could also take a look at reference numbers 6610, 1016, and 14270. 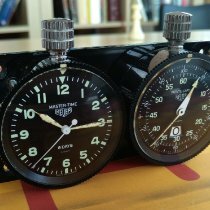 This example demonstrates the importance of being familiar with reference numbers when buying a vintage watch. Reference numbers help you identify and find watches from a certain time period or with other special characteristics faster and more easily.